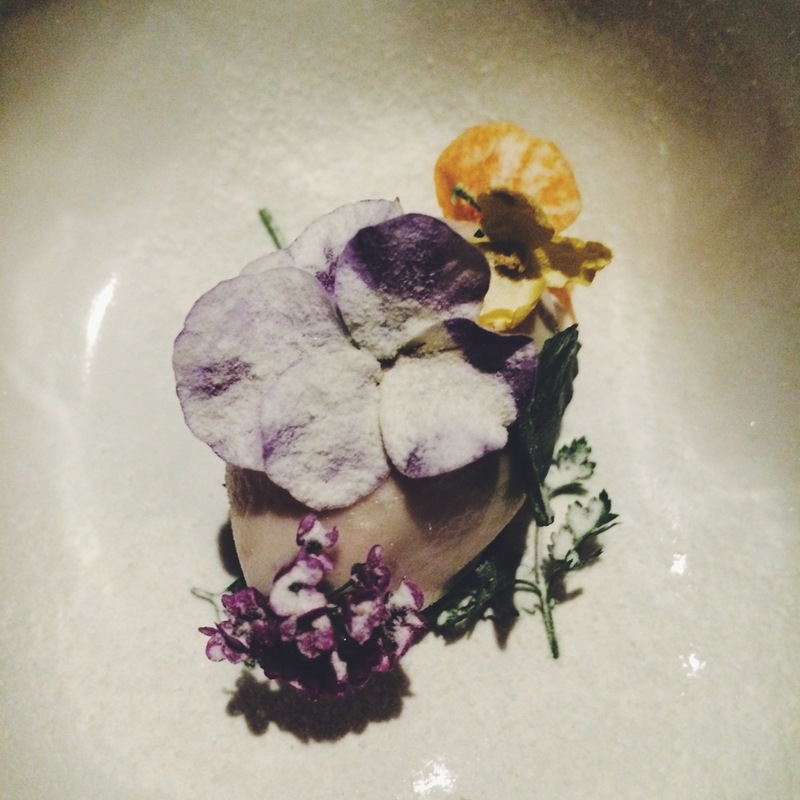 WHILE IN MEXICO CITY I HAD THE GREAT pleasure of dining at Pujol. This Michelin starred dining experience is rated as the seventeenth best restaurant in the world, so expectations were high as we sat down for the three hour tasting menu. Touted for their gastronomic endeavors, I was anticipating a lot of smoke and mirrors, elaborate combinations and strange ingredients, instead Pujol's dishes have simple complexity that celebrate the deep rooted traditional flavors of Mexican cuisine. Using local ingredients and techniques that fuse modern with ancient, chef Enrique Olvera creates a menu that lets you taste Mexico as he sees it today - standing firmly with one foot in the deep-rooted past and one foot in the endless possibilities of the future. THE VIBE: A dark, intimate interior kept simple so full attention could be paid to the food. THE OBJECTIVE: Taste all the flavors of Mexico in seven courses. THE DETAILS: Menus presented in envelopes with wax seals. Heavy handmade plates. Servers who speak with a quiet passion about the menu and move with precision as plates are delivered to the whole table at the same time. THE MEAL: Perfectly paired. Each course was a work of art without being complicated. Some flavors were intense like the baby corn, served smoking inside a gourd and powdered with chicatana ant, coffee, and costeño chili mayonnaise. In other dishes the beauty came from simplicity, like a cup of warm corn and lime broth that cleared the pallet. However, when we ate the 548 day aged Mole, paired with a smoky mezcal it felt like we were tasting heritage, and flavors that have been a part of this country's culture for hundreds of years.